When your sewer line is damaged, it’s necessary that you have it repaired as soon as possible to avoid additional damage. Leaks, clogs, and corrosion can cause your residential sewer system to back up, which can lead to clogged drains, foul odors, and sewage spills. By making a call to your local sewer line experts here at Rapid Plumbing in Studio City, you can successfully eliminate your plumbing problem before it turns into a plumbing disaster. 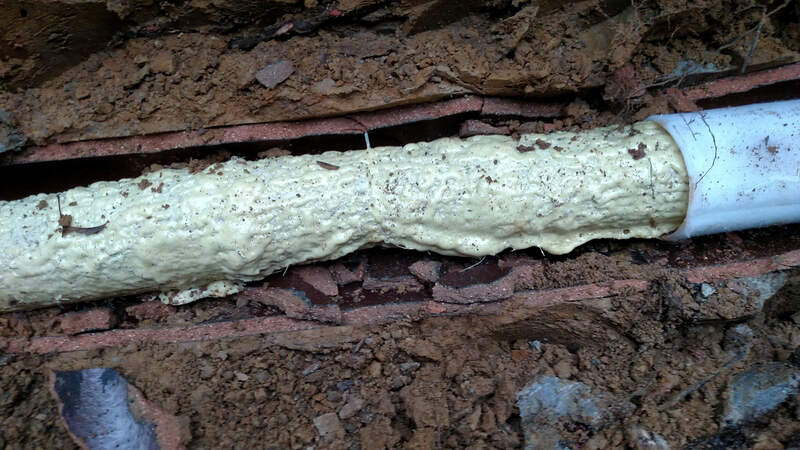 What are the Signs of a Damaged Sewer Line? As a homeowner, you may already know how important it is to have your sewer line checked by a professional at the first sign of a problem. However, you may not know what signs to look for. Sewage backups and blockages in your bathroom are usually the first sign of trouble. Even if you have consistent backups that are easy to take care of, when backups occur often, it could be a sign of a broken or failing sewer line. Problems with mold can be another sign of a sewer issue, especially if there is mold growth along with sewer odors. Mold can grow inside the walls of your home where the sewer lines are located when there is a leak or break in your sewer drain pipes. If you discover the presence of mold in your home, you must take care of it as soon as possible. Mold can be very damaging to your home’s foundation. Another sign of a damaged sewer line is slow drains inside your bathrooms. The slow drain could be caused by blockage that may eventually lead to sewage backup. A tree root intrusion could also cause indoor drains to be slow. Can Trenchless Pipe Lining Resolve Your Damaged Sewer Line Issue? Trenchless Pipe Lining is a modern approach to replacing or restoring broken and damaged sewer lines. Instead of digging a long trench in your yard to replace a pipe, this new method can help homeowners avoid the additional cost and disruption by adding a strong and durable layer to your current damaged pipes. The re-lining system helps to eliminate all leaks and cracks inside your old pipes and restores it so that it works like new once again. Trenchless pipe lining isn’t new, but it is becoming more popular with contractors and homeowners as customers learn more about the process and how beneficial it can be. If you are interested in learning more about how Trenchless Pipe Lining can improve your sewer lines, give us a call here at Rapid Plumbing today. We can check your sewer system to find out if trenchless pipe lining is the right solution for you. Give us a call today at 1-800-997-2743, that’s 1-800-99-RAPID. We look forward to helping you resolve your sewage problem. Let us be the only plumber you call on in Studio City for your plumbing and sewage repair, replacement, and installation needs.